The Federation of Gay Games is a global not-for-profit member based organisation responsible for the production of the Gay Games every four years. 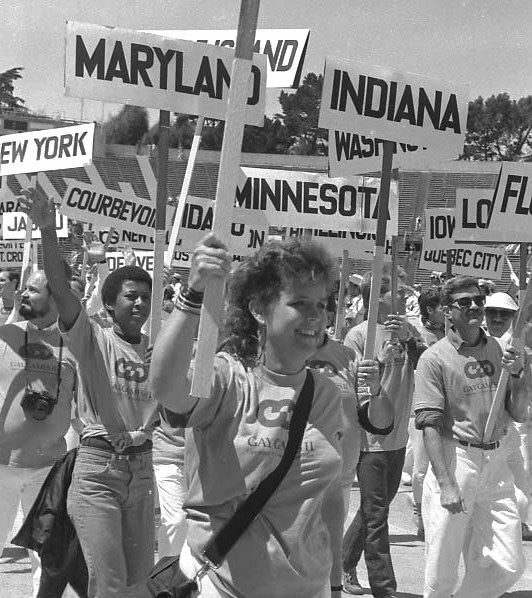 The Gay Games was envisioned in 1981 when Dr. Tom Waddell brought together a group of committed lesbian and gay sportspeople to hold the first Gay Games in San Francisco in 1982. From that event, with 1,350 participants, the event has grown exponentially, with 10,317 participants from 91 countries expected at Gay Games 10, August 2018 in Paris France. At the Annual General Assembly in October 2017, Hong Kong was chosen as the site for 2022, Gay Games 11. “Since 1982, the Gay Games has evolved into the largest gay and lesbian multi-cultural sporting event in the world. At its inception, Tom Waddell’s intention was for the Gay Games to help our community eliminate stereotypes, especially those associated with ageism, racism, and sexism. He also saw the Games as a tool to help us educate people about who and what we are. Over the past 35 years this event has grown exponentially and has served as the vehicle to empower literally thousands of gay, lesbian, bi-sexual, and transgendered individuals around the world. Gay Games participants have ranged from those who were already “out and proud” to those who have taken great personal risk to leave their country and march publicly in the opening ceremony under the flag of their country. Gender: The FGG’s transgendered inclusion policy set the tone for the Olympics and others to follow. Human Rights: Olympic diver Greg Louganis came out during the 1994 Gay Games in New York, the same year that the U.S. Olympic Committee awarded him its highest honour, which Louganis dedicated to Gay Games founder Dr. Tom Waddell. Pioneering: The Gay Games have offered women’s wrestling since 1994 — 10 years before the Olympics. The Games offer 10 weight classes for women; the Olympics offers only four. HIV/AIDS: Participants with HIV/AIDS are among the most important at the Gay Games, where they regularly achieve their personal best. Senior Participants: 25% of the LGBT+ population will be 50+ by 2020. The Gay Games offers categories for older participants in more than 14 sports. Anti-Doping: In sports that require drug testing, the FGG has developed anti-doping policies that enable athletes on medication to participate in the Gay Games. Our diverse member organisations come from far and wide across the globe and we encourage your sporting organisation to become a member too. Types of FGG Membership are listed below and we encourage you to view our full list of member benefits. Full Member organisations that are able to host and organise events and can contribute to the direction and management of the Gay Games. These include international sport organisations, multi-sport regional or city teams and international cultural organisations. These organisations drive the Gay Games movement and the FGG General Assembly. 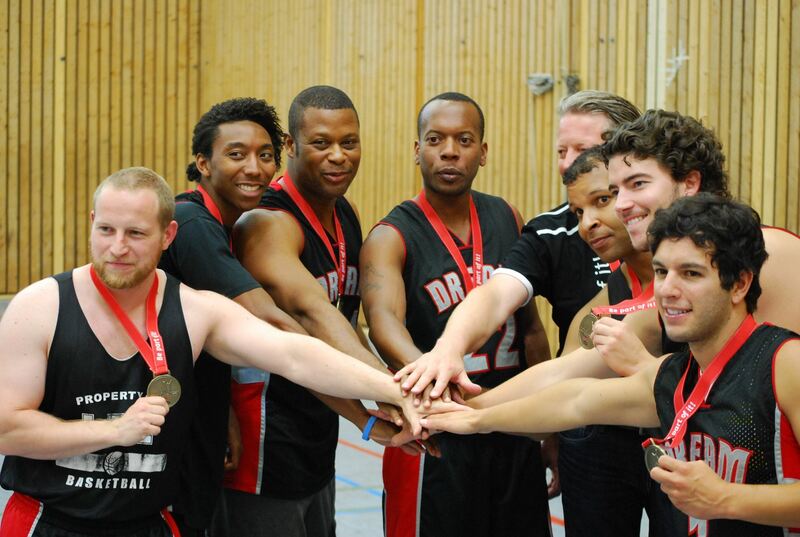 Associate Members are national or local associations and groups; teams that are part of a larger full member organisation – such as a sports group that is part of a city team. These organisations may organise local events and contribute to the Gay Games movement through their parent organisation and through the FGG committees. Groups who wish to be part of the Gay Games movement, but do not have the funds or structure to be a full or associate member organisation. Any LGBT+ sport or cultural organisation that promotes the principles of “Participation, Inclusion, and Personal Best”™ can have its logo displayed on the FGG web site, with a link to its own web site. The FGG provides all Partners with specialised communication tools to promote contact with participants in their sport or cultural activity. For details, write to memberservices@ gaygames.net. Participate as an individual on FGG committees that carry out the work of the Gay Games and preserve its legacy. We look forward to welcoming you to the FGG Community and empowering even more thousands of LGBTI+ athletes and artists through sport, culture, and fellowship. To see our current member organisations please click here.